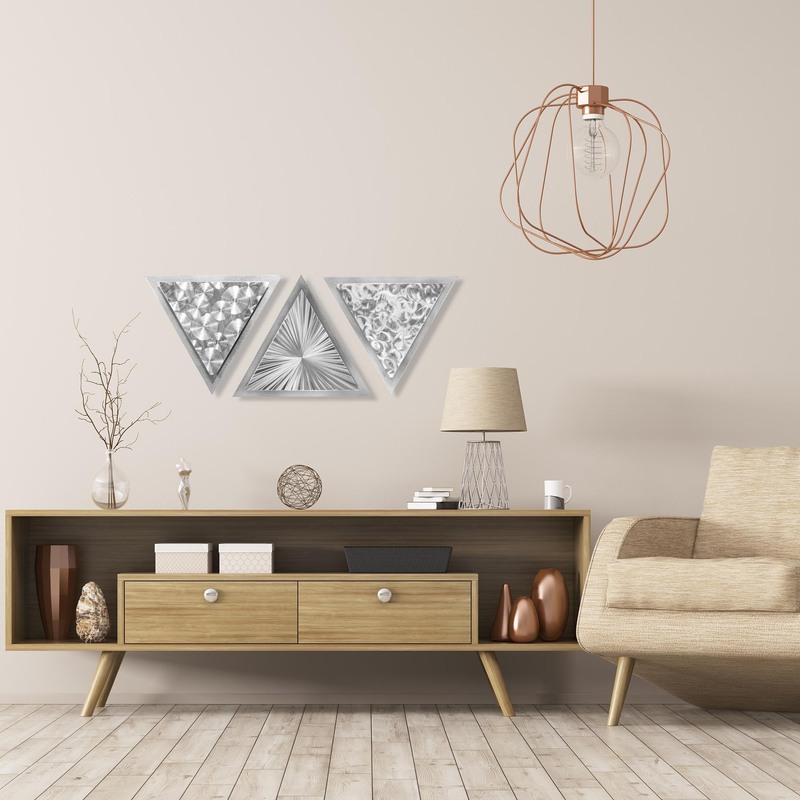 Motion Angles is an original metal artwork meticulously cut, ground, textured and sanded in Cincinnati, Ohio by contemporary metal artist Helena Martin. 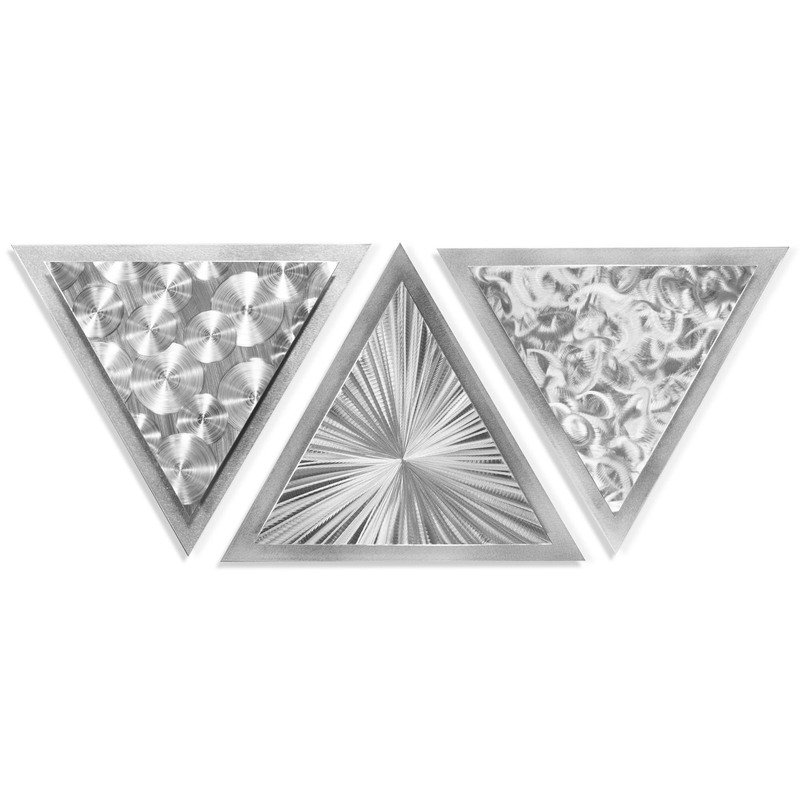 The modern and contemporary style triptych display features a geometric multi-layered design crafted from indoor/outdoor aluminum with layered artistic grind patterns. The textured metallic surface is very receptive to light, as the scratched grooves of the grind pattern reflect light to create movement and depth with a 3D holographic effect throughout the movement design. With increased overhead lighting these lively, emotional effects will be exaggerated even further. 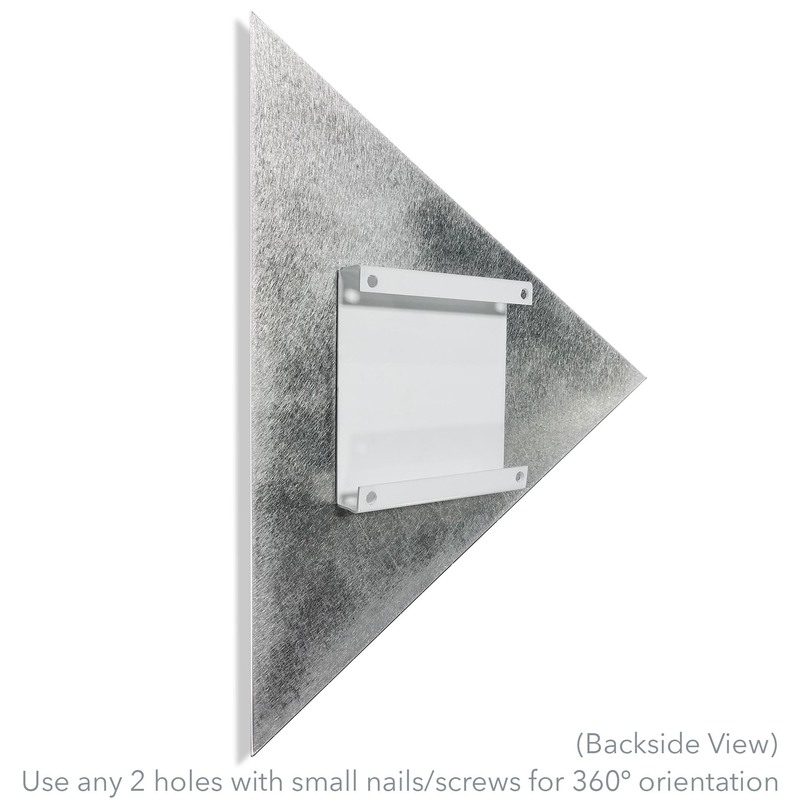 This modern metal wall art can hang in any orientation and is the perfect silver decor for an upscale, contemporary setting. The interesting abstract imagery creates the perfect conversation starter, and achieves the ultimate Wow Factor for both residential and commercial applications. Detail: Original multiple series with intricate grind patterns applied. Pattern will be replicated free-hand by the artist on each piece, to closely resemble the photograph. Finish/Care: Suitable for indoor/outdoor use; weather and fade resistant finish. Artistic metallic finish on ground metal. Easy cleaning: wipe with soft/clean cotton cloth; use warm water & mild hand/dish soap if needed.